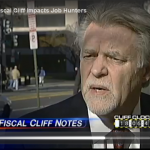 In a recent interview with Washington, DC CBS affiliate WUSA9, Tom Morris emphasizes that if we don’t go over the Fiscal Cliff, the economic outlook is bright. 2. More Access: “Everybody” does not go away for the December holidays. On the contrary, many managers are both catching up on unfinished business and are getting ready for the new year. 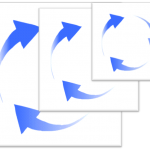 Many human resources directors are working on staffing plans for the coming year, and are more attentive to personnel matters than they usually are. Thus the last month of the year can be the best month of all to get access to key people. 5. The January Rush: A lot of people make New Year’s resolutions to change jobs. In January, therefore, the market becomes more saturated with job seekers. If you put off your search until after the December holidays, you’re likely to have to compete with a bigger (and possibly more determined) crowd in January. You also risk losing psychological job-search momentum around Thanksgiving, and you may not get into high gear until mid-or-late January. That means, obviously, that a job seeker can actually lose two months, not just one, by suspending activity in December. Did you know that between 2000 and 2010, the number of 55 to 64 year-olds in the workplace, increased by more than 50%? At the same time, the number of people 35 to 44 in the workplace decreased by about 10%. An enormous difference. None of us is as old as we thought we’d be when we got to the age we are now. Overall mental and physical health, vitality… We’re able to stay productive and active in our lives and in the workforce longer. There’s more good news! Click here to watch an 11 minute video of Tom presenting Good News for Gray Hairs: Marketing Yourself After 50.